Why Does Your Dog Chew or Lick His Paws? 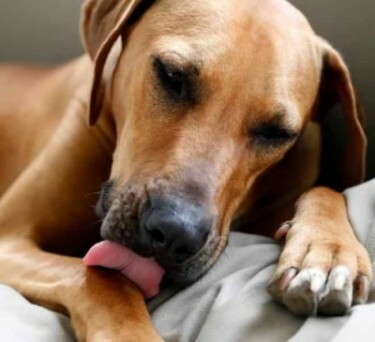 If your dog licks himself or even nibbles at his paws, this behavior is part of their normal daily routine. Licking and chewing is a daily occurrence and a part of dog’s grooming. If your dog chews or licks his paws all day long, then it’s problematic. There is usually a reason why they are chewing and/or licking and can be stopped once you determine the cause. The most common reason that dogs chew on their paws is because they’ve developed a skin problem due to allergies. Food, their environment, seasonal changes, dust, and even chemicals can all cause allergic reactions. 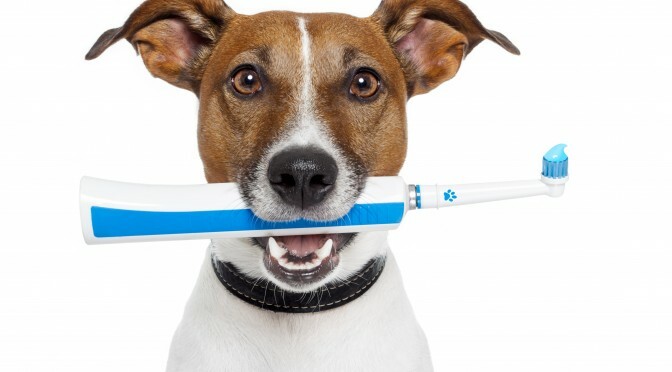 Your dog’s natural reaction is to try to chew off whatever is bothering him. Since their paws are exposed everywhere they walk, dogs pick up what they step on and then try to remove it themselves. Allergies can cause your pups’ (just like us!) unrelenting itching. Dogs use their paws to scratch other areas of their bodies, but can’t manage to scratch their paws. The next best thing is their teeth. 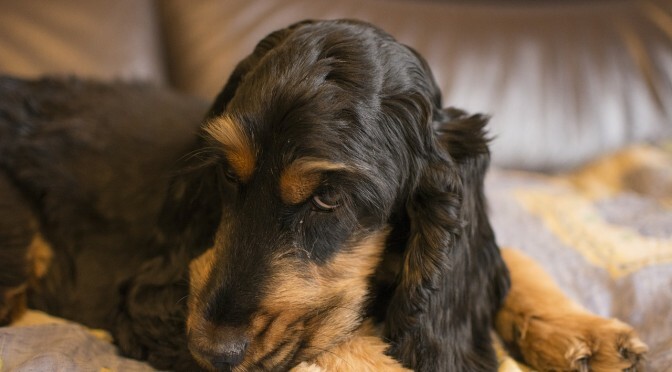 Chewing the itch gives your dog temporary relief but the problem hasn’t been resolved. Mites, ticks, and fleas must die and your dog tries to help by chewing them to death. Parasite bites are so sudden and sharp that a dog’s natural reaction is to stop the biting by eating the offender. And once the bite occurs, the site’s soreness and itchiness can make your dog continue to chew or lick the tot stop hurting. Yeast can invade your dog’s nail beds and cause them to itch. If your dog has clear nails, this type of chewing is easy to pinpoint. Your dog’s nails will be discolored at the base in a dark red hue with red and irritated skin around the nails. 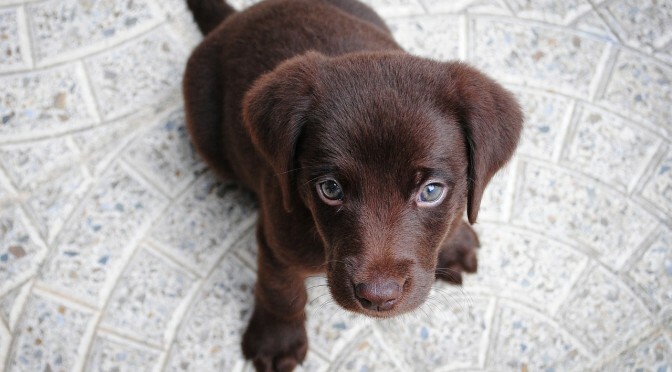 Your dog’s saliva will stain his fur reddish from all the chewing. If your dog has any anything that invades his paws, your dog will try to chew them off. Glass shards, rocks, or even splinters can puncture your dog’s paw pads and your pup might try to chew them out. The foreign object can lead to infection and cause your dog to limp. Sometimes your dog is simply bored and decides to chew or lick his paws to keep him busy. If you think this is the case, give your dog a bone, rawhide, or a toy filled with peanut butter to chew. Also, increase his walks or play time. If the chewing stops, you’ve found the cause and know how stop it from occurring. Try to see if any of the above applies to your dog and watch for the signs. If your dog gives his paws a bite or two during a cleaning session, not to worry. But, do take a look at his paws to make sure there are no fleas, cuts, yeast, or anything unusual that might cause him to chew. Or make sure your dog is eating a high-quality food with very few additives to see if this helps. However, if his chewing becomes more frequent, your veterinarian will take a deeper look to see if your pup might have a food allergy or any other ailment. Warren London sells a great product that is a 5 minute paw soak that helps to get rid of fungus, bacteria and yeast and will help to stop paw licking. Its called Deep Cleaning Paw Fizz Tablets.